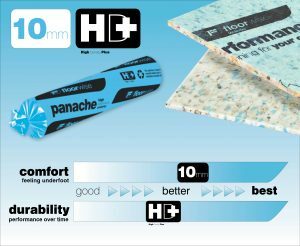 Lightweight foam underlays are designed to raise the bar when it comes to performance and have quickly grown to become the product of choice. 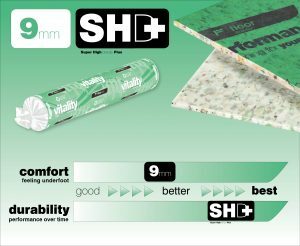 Each underlay is kind to the environment by being made with recycled post industrial waste and are completely recyclable after their long use. 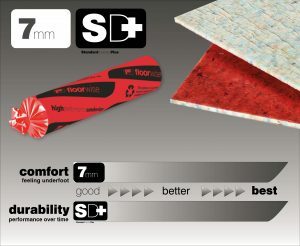 Each foam underlay is differentiated by its performance characteristics. 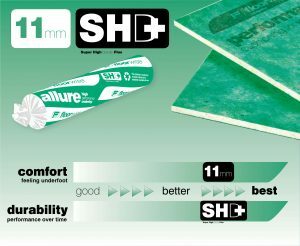 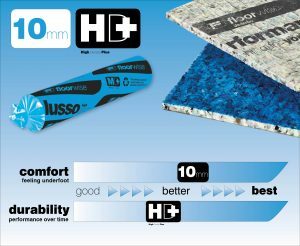 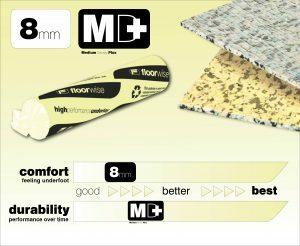 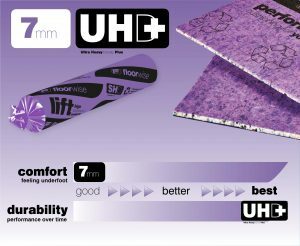 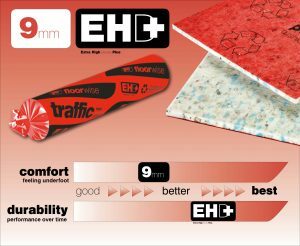 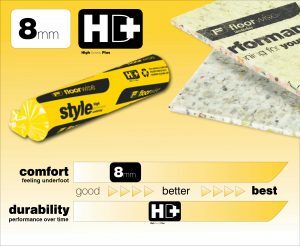 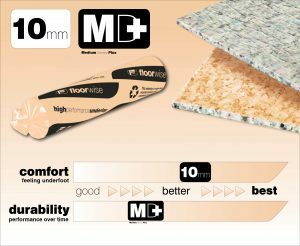 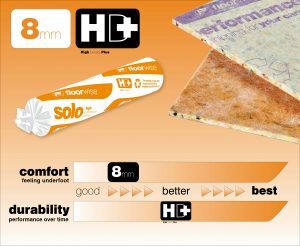 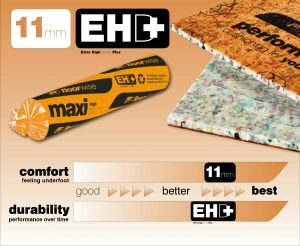 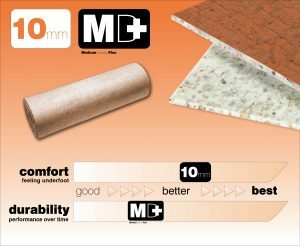 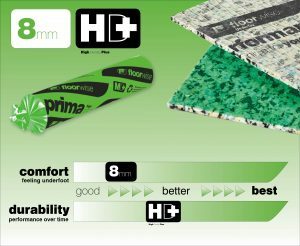 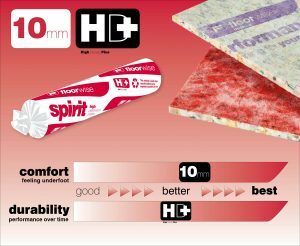 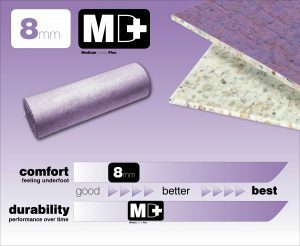 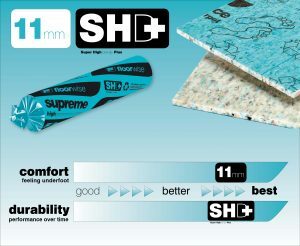 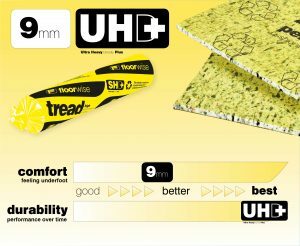 The thicker the underlay the better the Comfort, whilst the greater the Density the better the underlay will perform over time.